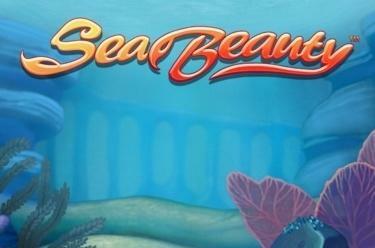 Play Sea Beauty™ online for free now! Sea Beauty™ will take you on a journey to the clearest lakes and most beautiful waters available in slot gaming. The friendly denizens of the ocean will stay at your side as you swim through coral reefs on the search for hidden treasures. Take the hand of the enchanting mermaid and, with some luck, she’ll lead you to the free games where incredible Twist winnings await! In order to reel in the Twist winnings of Sea Beauty™, you need to array 2 to 5 identical symbols along one of the 10 win lines. Win lines start on the leftmost reel and run all the way to the rightmost one. The mermaid is this game’s substitute symbol and can replace all other symbols except for Scatter, the “Sea Beauty” logo. If the Scatter symbol falls at least 3 times on any position on the reels, 7 free games with “Sear Beauty” feature are activated. 7 free games with the settings of the basic round that triggered them will start if at least 3 Scatter symbols (“Sea Beauty” logos) fall on any of the reel positions. 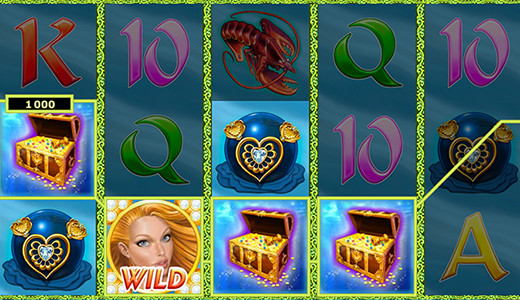 During the free games, the “Sea Beauty” bonus is active: The mermaid expands to take over all positions on two randomly selected, adjacent reels. As Wild symbol, she can substitute for all other symbols except for the Scatter symbol and therefore increases your chances to land winning combinations. If 2 or 3 Scatters fall during the free games, you win 5 to 7 more free game rounds!